To all my reality TV fanatics, enthusiasts and aficionados — this one is for you. In light of all the negative small screen playback this newbie Real Housewives Of Atlanta star has received, she figured it was time to set ALL of us straight. You know, give us a few unknown facts Bravo is apparently lacking to share in this highly obsessive drama show that’s currently in its sixth season. 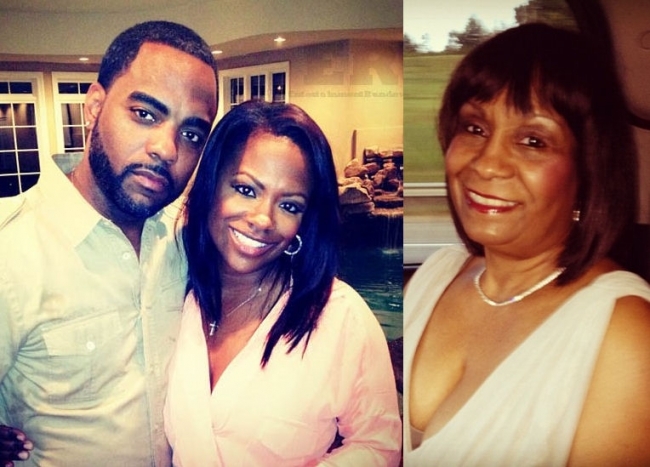 Although an unofficial cast member of RHOA, Joyce Jones or better known as Mama Joyce, has sparked more and more attention and even has this season of RHOA rating the highest since her almost physical confrontation in what appeared to be a “fight” for her daughter, Kandi Burruss’ best interest. And when I say “best interest”, I do mean in her choice of friends (i.e. Carmon Cambrice) and romantic relationships (i.e. Todd Tucker). I recently sat down to talk with Mama Joyce to get all the deets from the the negative misrepresentation as a mother Bravo editors have portrayed her to be. And baby did she want to clear some air. Charli: Hi Mama Joyce! How are you? Mama Joyce: Hi!! I’m fine thank you! Charli: Great! Well I’m a pro blogger looking to hear the real verdict of your story — I think we all are. So I’m excited to be talking with you so that you can clear some of this negative publicity you’ve been getting. Is that cool? Charli: Okay. [laughter] Maybe a lot of people or viewers should I say may not understand the true relationship that you and your daughter Kandi share. Could you talk about the experience raising her and your relationship off camera? Mama Joyce: Well we’ve always been very close. I pretty much raised her as a single parent — she and her brother. And I’ve always given her the best of everything. I was always a really good mom. And I just want nothing but the best for her. I lost her brother back in ’91 in a car accident. I may be a little over protective of her because I did lose her brother. I guess that makes me a little over protective of her. I just don’t want anyone taking advantage of her. Charli: Okay, and regarding Todd… initially what was it that you did not like about him to make you lose interest in their relationship and wanting to unite in marriage? Mama Joyce: Well once they started dating and everything, I found out that he said he was going to have to stop working. I’m one to believe that you don’t date people on the job. I never liked that. If she would have asked me, I would have said NO in the beginning like I told Phaedra. I would have told her that THAT wasn’t a good idea. If I had been the friend, I would have said “No, that’s not a very good idea.” Even though he’s a nice guy, she should date someone that’s more on her level. You know? I mean that’s the way I feel. You know how these women are. He’s cute — but you just don’t date nobody ’cause they cute. So I wouldn’t have negotiated no relationship with my friends just because they cute. Most producers go from job to job because they’re freelancers, but he took off once he started dating Kandi. That kind of threw up a flag for me because Kandi is a hard worker. She’s always going. She’s always working. She’s always on her grind — all the time. And being a man, I think she needs a man that does the same thing. Even if she told him “Well hey, I want you to stay here.” I think being a man he should have said “Well look, I’m a man and if I’m going to be with you, I’ve got to take care of my business.” You know? But he took 2, 3 months off so that threw up a flag. He hasn’t really been working on nothing! I don’t know — maybe it’s just me. Charli: I mean it makes sense. Glad you’re clearing that up about how you truly feel. Most don’t know this part of the story. I read a lot of tweets during the show while it’s airing and many say it’s about money and others say you’re just TOO over protective. Mama Joyce: As far as me, I have my own income. I have my own money. Hey, I live in the same house that Kandi was born in. The same neighborhood. I got pretty much the same neighbors. I have rental property — a house right across the street. I’m retired. You know, I’m good. Kandi don’t take care of me. Of course she’s very good to me. And if I want, if I ask anything of her, Kandi will give me. But I don’t ask her. I’ve always wanted her to build HER brand. It was just good for me that I did not have to help her like most mothers do. I had money that I had saved up over the years for my son but he got a scholarship to college. So I put that money aside for Kandi and didn’t even have to use the money. When my son passed, I had a lot of insurance. I put that in bonds for Kandi. So when Kandi started making her own money, I just let the money stay there. I didn’t need Kandi money. I still got that money. She knows I don’t need her money. Would I still be in the same house she was born if I was a mother greedy for her money? Mama Joyce: When she went to the bank to buy her first car, you know what the bank told her? They said that entertainers come in there everyday. They told her that they do not finance them because they could have half a million dollars one day and the next day they’ll be broke. But they financed Kandi because of the strength of me. Because they knew me and they knew how I took care of my business. And it was the same way when she bought her first house. I’ve always been there for her. Charli: Right… so moving on to that one episode that viewers can’t seem to shake and let go — the confrontation with Carmon. That definitely wasn’t a publicity stunt, right? Mama Joyce: No it definitely was not. It was so many different people. But for one thing, my sister and I was not talking to Carmon. Before we got there, Carmon had pre-notions like “What are they coming for? I don’t even see why they coming.” That’s what she was saying to the other guy. Hell I’m Kandi’s mom. I’m supposed to come! You know? So when my sister sat down, my sister said, “Ooo she wasn’t talking to me, she was talking to you.” And then Carmon responds. So I stepped in and asked her what she was talking about. And she asks me “What y’all even come for?” So I said what you mean what I come for? What YOU come for? And that’s how it started. And I must have said, “Well you know him better than anybody.” [laughter] How would I know that she, Todd, and other people had been to a club? I don’t go to no clubs. They told me that she was sitting in his lap. I wouldn’t know that! Kandi said that she knew about the club but didn’t nobody say anything about her sitting in his lap. She asked, “Well why didn’t nobody take pictures?” I told her I DON’T KNOW! But that’s what someone told me. Remember when Todd said on the TV show, “You need to check yo mama because she disrespecting me — she’s upsetting me. She’s upsetting Carmon. And you need to talk to her.” I could understand if he said I’m upsetting Kandi and Riley, but he said I’m upsetting Carmon. What Carmon got to do with your family?? Charli: And by the way, how long have Carmon and Kandi been friends? Mama Joyce: Well they were friends when they were in middle school. And then they went to separate schools. I mean they would keep in touch, but then Carmon got married. She was married for a while. And you know all these years we hadn’t heard nothing from Carmon. All we knew was that she was working at State Farm. And then Kandi had the pilot for The Kandi Factory. When she had the pilot, Carmon and her husband had broken up. She came to the pilot taping. Charli: Ohh okay. Well as I planned this interview, I allowed my Twitter and Facebook followers to pitch in on a couple of questions since RHOA shuts down social media during airing with debates and discussions. @NaeICanRepeatIt asked: Are you afraid that Kandi will make the same mistakes that you did and why are you so overbearing? Mama Joyce: No. I didn’t have money like she did at her age [laughter]. No. I think her mistakes will cost her a lot more than what I did. I think her mistakes will be a lot more costly than mine. Charli: Well now that I’ve been talking to you for some time — I know the reasons behind your over protectiveness. Which were other questions from different followers. But most specifically my Facebook follower Mary Margarette – Hill asked: Have you watched yourself on TV and do you think your behavior is as crazy as we do? 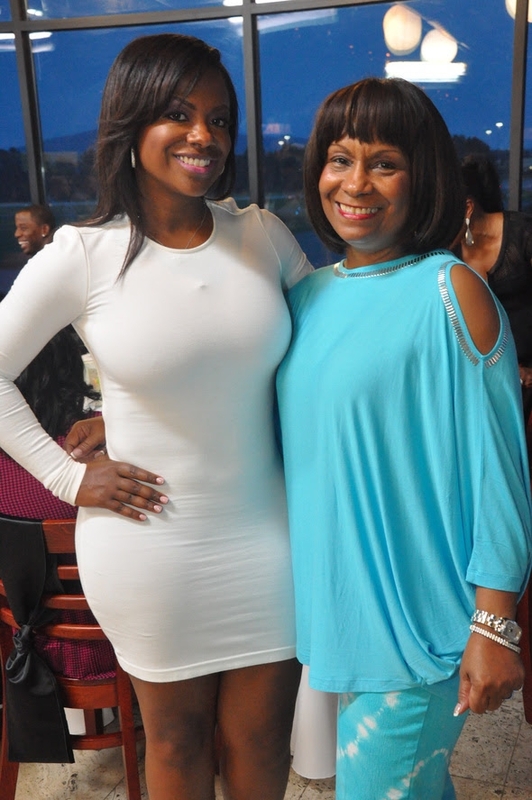 Mama Joyce: I have, but I love my daughter more than anything. And it could be because I did lose my son. I did! And everything that I got — is for her and for Riley. I don’t want anything to happen to me and everything that I’ve accumulated — which is quite a bit, to end up for somebody to take advantage of. 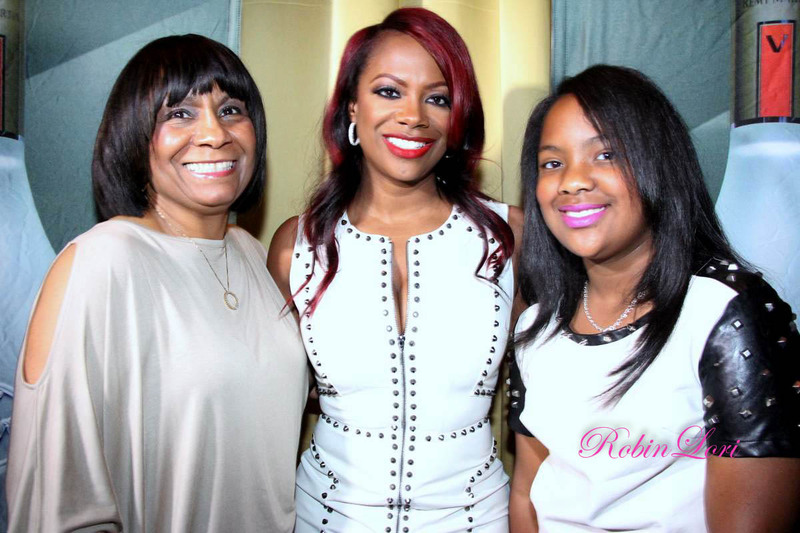 Kandi is a GOOD person. She has a good heart. You know? Anybody that’s close to her, she goes out of her way to help. She tries to see the good in everybody. It’s like she sees the glass half full and I see the glass half empty. But I’ve lived a lot longer than she has and I come from a large family. Charli: Another Twitter follower, @MizzShantell asked: What happened in your past relationships/marriages/friendships experiences that triggered your reaction to Todd and Carmon? Mama Joyce: I’m very observant. You can tell when somebody is coming for you. And one thing I want people to check out is Todd’s background. A lot of people need to check into his background. His father alone was not too favorable. Todd has several brothers and sisters and they all have different mothers. Which is not a problem — a lot of people have that, but maybe people need to focus more on him. And I’m not saying that he’s a bad person, I’ve never said that. I just feel like he’s not the best person for MY daughter. But she and I have resumed our relationship which I am very happy about. We have gotten things back on track. I love her with all my heart and I don’t want nothing to come between that. I’ve decided that if that’s who she wants, I’m just going to have to go along with it. And hopefully he is the right person. And if he is, I will apologize. I will be the first to apologize. If not, then I’ll be the first to be there for her. Either way, I’m there for her. Charli: Well I’m happy to hear that. That was actually going to be my last question. I know that y’all took some time apart after that episode. But it has resumed so that’s always wonderful. Mama Joyce: Yes. Yes, we are back together and that was the hardest time that I’ve had. I needed to spend some time getting myself together. And she did too. But now we’re okay. We spent New Years together over one of the aunt’s house. And we played games and had nice family time. Charli: Wonderful. Well thank you Mama Joyce, you’ve definitely cleared the air on a lot of misrepresentations and I appreciate you for sharing your story. Mama Joyce: No thank you! And what’s your name again? Charli: Charli. I own the website, PSLoveCharli.com. And honestly I did have one question to ask given that I too am from the south. Mississippi to be exact. So I’ve been around A LOT of southern mothers. I’ve grown to know them as being humble with warm spirits. Great, strong women to be around. So I guess it was different to kind of see you lash out on TV. But at the same time, since I’m learning more about you, I see your reasons. But that was just a spur of the moment type of thing? Has a situation like that happened to you before? Mama Joyce: Oh no. No, no. That’s not me. If I could take anything back, that’s definitely something I would take back. And I am so sorry. But you know, sometimes you don’t even realize that you’re on TV. To just think that someone is taking advantage of your child and then she was disrespecting me. She was just mouthing off — but Bravo didn’t even show that. She was the first one to jump up. They didn’t show that. I’m like Hey! If she gone stand up, I’m gone stand up too! So when she stood up, I stood up! [laughter]. I said, “I know this — woman ain’t standing up like she gone — [laughter]. You know how it is when you just lose it? I was already angry at this woman taking advantage of her and Kandi’s friendship. On The Kandi Factory, she made a statement about Kandi being worth over 30 million dollars. She said, “Oh! If my friend is worth 30 million dollars, what in the world I’m doing working at State Farm?” 2 months later, she had gotten fired. But before then, we hadn’t seen her hardly at all. So then, every time we looked up, she was hanging around Kandi. Mama Joyce: Red flag! What your friend is worth don’t have nothing to do with you. Because what my child has don’t have a thing to do with me. I want her to build her money for her and for Riley. Charli: Well thank you again Mama! I can’t wait to get more of your story out. Thanks for sharing. Mama Joyce: Thank you so much Charli.